4 Bedroom Semi Detached House For Sale in Chatham for Asking Price £320,000. MUST VIEW NOW!!! 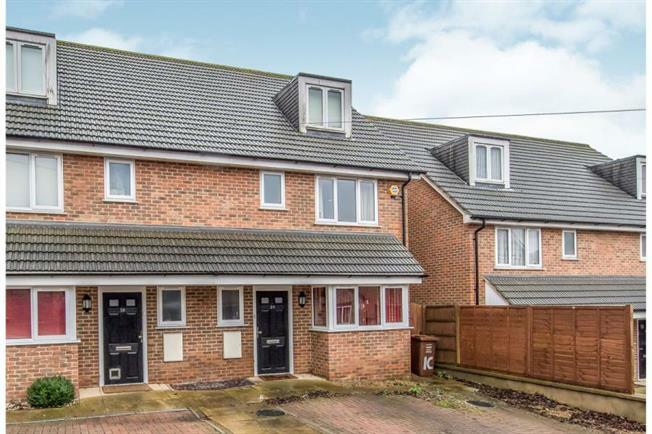 We are proud to present this excellent four bedroom semi detached town house with a driveway off Maidstone Road. Ground floor comprises with a separate WC, good size Lounge perfect space for entertaining guest and a nice size kitchen in excellent condition. On the First Floor their three generous size Bedrooms and Modern Fitted Bathroom. Moving on to the 2nd floor is a master bedroom with an en-suite. Further more the property benefits with a driveway and nice size garden to the rear of the property. Overall property is in excellent condition and is ready to move in.